Hello everyone and welcome to another Medieval Monday! We’re continuing our medieval author introductions this week. 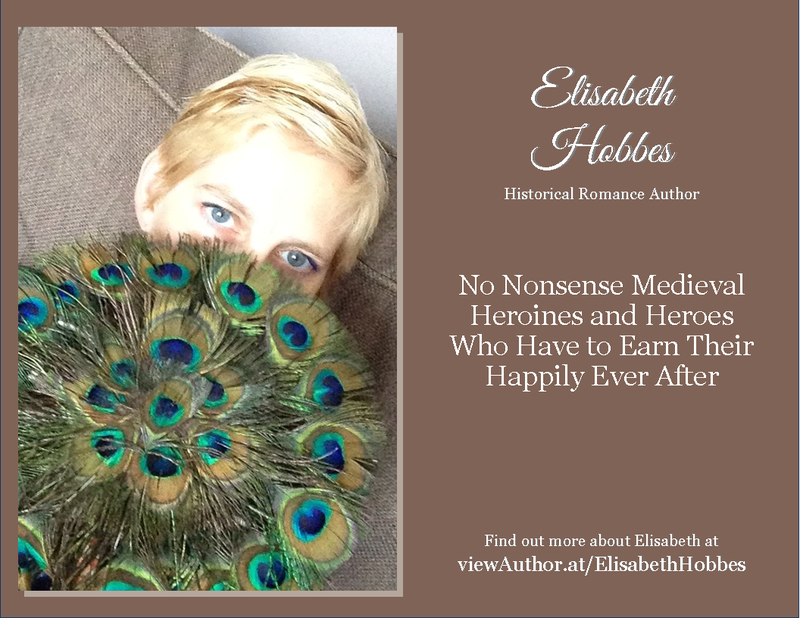 My guest today is Elisabeth Hobbes who will tell you why she enjoys writing medieval romances. Enjoy! I’m sure my love of the Middle Ages is mainly due to where I’m from. The city of York has a rich history dating back to the Vikings and Romans but many of the surviving buildings are medieval. We have The Shambles (the low rows of cottages looming towards each other that housed the city’s butchers) the magnificent Minster and Guild houses, streets of Medieval buildings too numerous to mention and the magnificent gated walls which still encircle the town. I spent most of my teenage years wandering around the city looking for a handsome Roman or Viking to sweep me off my feet. Sadly this never happened but growing up somewhere like that it was impossible not to develop a passion for the period as I walked to and from school past castles and ruins imagining the lives and loves of the people who came before me. The Medieval period had very clearly defined conventions, social structure and strict codes of behavior, and transgressing these had real, life threatening consequences. Not for my characters the genteel Regency ballroom and risk of being ‘cut’ by the Ton. Put a foot wrong in my world and you’ll find yourself on the wrong end of the sword not a snapping fan! It was a time of conquest and conflict, tournaments and battles. Life was harsh and dangerous, life expectancy was low but the period gave rise to the code of chivalry and some of the greatest architecture still standing. Elisabeth’s writing career began when she entered her first novel, Falling for Her Captor, into Harlequin’s So You Think You Can Write contest. She finished in third place and was offered a two book contract. She has since written five novels for Harlequin Mills & Boon with settings and eras ranging from the turbulent events of post-Conquest Cheshire to the thrilling tournaments of thirteenth century York. As well as writing Elisabeth is a part time teacher and full time mum to two children. She spends whatever spare time she has reading and is a pro at cooking one-handed while holding a book. Elisabeth’s other hobbies include horse riding, skiing, Arabic dance, fencing and exploring dreadful tourist attractions, none of which has made it into a story yet. She loves ginger mojitos, historical fiction and has a fondness for dark haired, bearded heroes.